You are here: Home / BLOGS / Blogs / Safety Cries Wolf! Why is Safety so easily sucked into the practice of creating fear? It must be challenging to constantly talk of ‘care’ while at the same time acting in a way that induces anxiety. How does Safety manage this contradiction? How does it cope with the tension? Does Safety understand what this is doing to people? There are many challenging questions, they become even more challenging when Safety Cries Wolf! 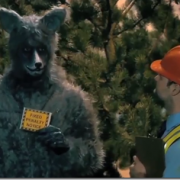 We’ve all heard the children’s parables and cautionary tales that feature the fictional Big Bad Wolf. These are stories where the ‘Wolf’ seeks out either; a young girl in red, three sweet and innocent little pigs or seven young kids. In these stories the Wolf has just one simple goal; to in some way or another manipulate their victim, and then terrorize them. In some cases, this even involves eating their Grandmother! Safety so often portrays itself as a ‘Big Bad Wolf’; targeting the helpless, the fragile and vulnerable, all in the name of ‘care’ of course. The Safety Wolf hunts for those; who are not expecting them, who seem not capable of understanding the complexities of the Wolf’s warped view of the world, and who are just trying to do their job. The Safety Wolf also has little ability to understand, nor does it have consideration for, how people live in ‘the real world’. For them, it’s Safety at all costs, strangely even if that means harming people along the way. It can be challenging to understand this absurdity in Safety. The Big Bad Wolf of Safety pretends life isn’t grey and messy, they have eyes that can see only black and white. The ‘choice’ we have, is to be either the Safety Wolf’s enemy (e.g. ‘you don’t care about safety’ or ‘you choose against safety’), or be obedient to what the Safety Wolf expects. Anything in between these two clear options is simply too challenging for the Safety Wolf to understand. This would require an appreciation and acceptance of helplessness, vulnerability and of faith. 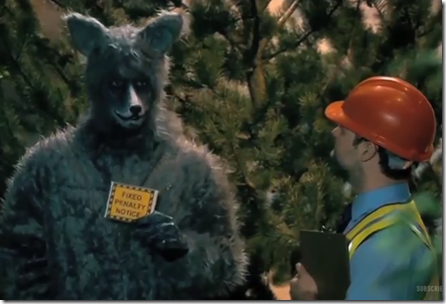 The Safety Wolf has no time for, nor understanding of, such complexities, diversions and inefficiencies in life. They instead believe in process, rule and method; things that are considerably easier to ‘administer’, ‘enforce’ and ‘dictate’. There is a problem though…. Click HERE to read the full article and learn more about the problem. https://dolphyn.com.au/wp-content/uploads/2017/05/image_thumb.png 304 446 Robert Sams https://dolphyn.com.au/wp-content/uploads/2016/11/Dolphyn-logo-v2-334px-150px.png Robert Sams2017-05-01 13:50:232017-05-01 13:50:23Safety Cries Wolf!